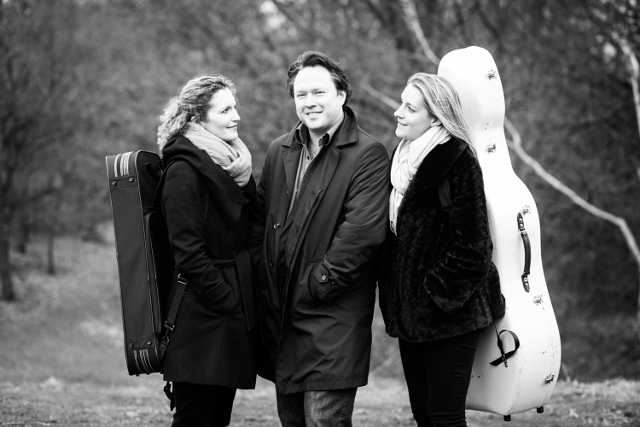 The trio’s past engagements include a Schumann concert series at Kings Place, London, as well as performances at the Little Missenden Festival, the Chipping Campden International Music Festival and at the Kirker Chopin Festival in Mallorca. Their continuing support of contemporary music saw premieres of new works by Thomas Hyde and Rob Keeley during the 2016/17 season, with a Naxos CD release of Rob Keeley’s Piano Trio no.2 scheduled for 2019.They will return each year to the Wigmore Hall from 2018-21. Ruth Rogers studied with Itzhak Rashkovsky and Herman Krebbers. Described as “the finest of the younger generation of violinists” (Musical Opinion) and hailed by the Guardian as “superb”, Ruth is in demand as soloist, leader, and chamber musician. In 2015 Ruth was appointed as a leader of the London Mozart Players. She worked as Co-Leader of the Bournemouth Symphony Orchestra from 2008 until 2012 and appears as a guest leader of many other major orchestras including the Hallé, BBC Philharmonic, City of Birmingham Symphony Orchestra, Scottish Chamber Orchestra and the Royal Liverpool Philharmonic.Ruth also plays with the John Wilson Orchestra at the BBC Proms. Katherine Jenkinson is recognised as one of the UK’s leading cellists specialising in solo and chamber music.In 2017, Katherine had the privilege of recording a new cello concerto with The Royal Philharmonic Orchestra which was written for her by the British composer, Oliver Davis. Chamber music is a key part of Katherine's musical life. She was a founder member of The Rautio Piano Trio, and was a member of The Allegri String Quartet 2008-2011 and Iuventus Quartet and Ensemble. In Contemporary music, Katherine has worked closely with composers, ArvoPärt, Anthony Payne, Richard Allain and Thomas Hyde. Katherine plays on an Italian cello by Taningardi made in 1703. She is grateful to the Countess of Munster for their help in the purchase and restoration of this cello. Martin Cousin is now regarded as one of the most exceptional pianists of his generation, having been awarded 1st prize at the 2005 Ettore Pozzoli International Piano Competition (Seregno, Italy) and Gold Medal at the 2003 Royal Over-Seas League Music Competition (London). Martin appears regularly at the major London musical venues and has performed as concerto soloist with the Philharmonia, London Philharmonic, Halle, Royal Philharmonic and BBC Concert Orchestras. 2006 saw the release of his debut CD of Rachmaninov's Sonata No 1 and Morceaux de Salon with SOMM Recordings, which was selected as Classical CD of the week by the Daily Telegraph. The US magazine Fanfare added, "This is the performance of the 1st Sonata that I have always heard in my head but never thought I'd actually get to hear with my ears. This guy's the Real Deal! "Martin's hands are also featured on the big screen in the Oscar-winning film "Shine", for the scenes involving Rachmaninov's 3rd Concerto. 2. Rarely does one come across a group so relaxed and confident in their technical abilities that they are able to focus so completely on the soul of the music.